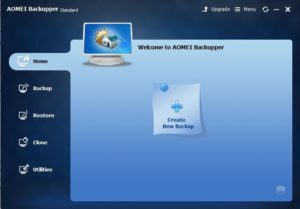 Aomei Backupper is a freemium utility software that lets you do a Comprehensive PC Backup with ease. It is available for Windows PC users irrespective of the Windows OS version. 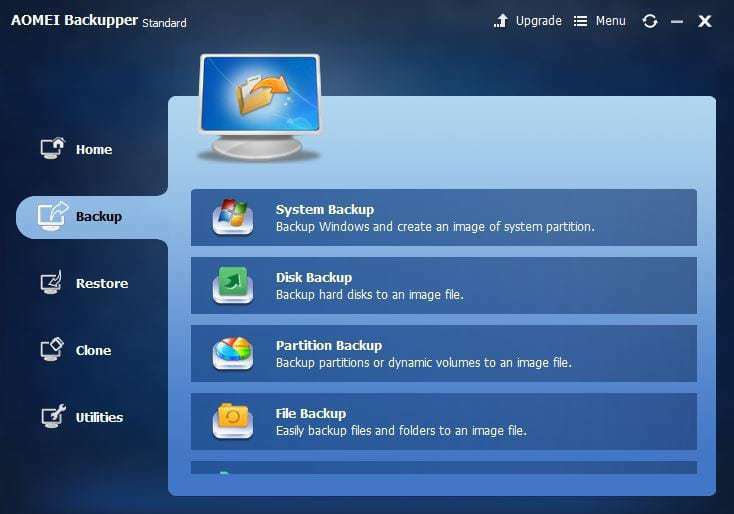 As a solid Windows backup manager, AOMEI Backupper Standard comes with lots of useful tools that makes it a top-solid option for taking quick backups. As already explained, AOMEI Backupper is specially designed for both Windows PC operators and server administrators. It secures, synchronize, and/or backs up all PC document and files with the help of the superior file backup and synchronization tool. Aomei BackUpper can also act as a disaster recovery solution as it helps you get back your files and Windows after a system crash. More so, this software has an intuitive, user-friendly interface: you can actually do any task without a lengthy learning curve. Also, this is a free disk cloning app with which you can upgrade from a HDD to a faster SSD and you don’t need to be an expert before you can use this software. The features are detailed below for your learning. Backup: File Backup, System Backup, Disk Backup, File Sync, Partition Backup and management. Clone: Disk Clone, System Clone, Partition Clone. Utilities: Create Bootable Media, Merge Images, PXE Boot Tool, and etc. Supports: Differential Backup, Incremental Backup, Schedule (Daily, Weekly, Monthly, Event-trigger, Real-time Sync), Dissimilar Hardware Restore, and etc. Backup/sync files to a USB drive, external drive, SD card, network share, NAS, and mapped network drive. Windows OS – Vista/XP/7/8/10 (all editions, 32 & 64 bit). At least about 100GB free HDD storage space. At this time, this software is only available to Windows PC users and server administrators. Hopefully, the company might release the Mac version soon. The standard version (reviewed) is totally free but with some limitations. The Pro versions pricing starts from $59.95 to $999.00 for the version with unlimited license, lifetime free support, updates and upgrade(s). There are many things you can do with this handy software (Aomei Backupper). First things first; to get started with this software you’d need download it from this URL. After the download – run the .exe offline installer and follow the on-screen instruction to get the software correctly installed and activated on your PC. Well, there are so many types of common backup features offered by this app. So, you’d need decide on which to go for when creating a backup. 1St Step: Launch the software and click on the create backup” button on the program window. 2nd Step: Choose/click on the type of backup you wish to run (System backup, Disk backup, Partition backup, file backup, and file sync). You can also schedule backups (daily, weekly, your choice interval) and set backup schemes (requires a premium version). 4th step: The backup starts processing and once done, you will be greeted by a page detailing the information/stats of the backup. Click on finish to save the backup to the selected output destination. 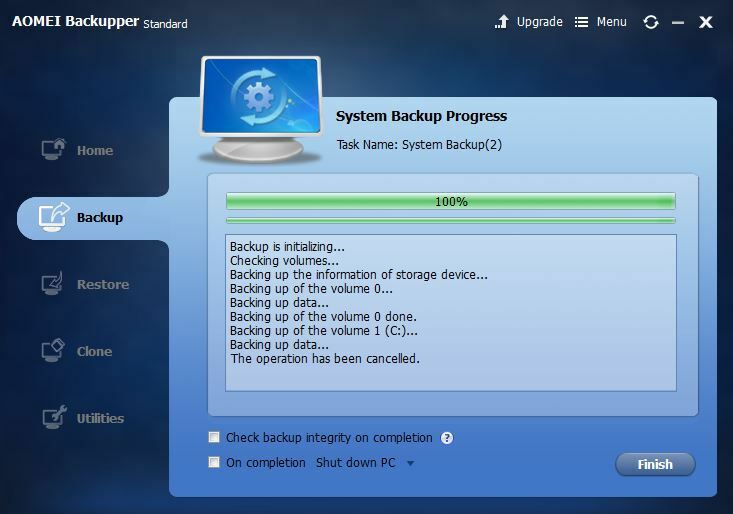 You can as well restore and load your backups at any time using this software. Simply launch the software and click on the “Restore Tab” ==> choose from the list of available backups (If they are more than one) =>> select the restore type (system restore or universal restore) =>>> select the image path =>>>> click on next and restore your files. This feature lets you clone either a disk, partition, or even an entire system. First step: Select the clone type – disk clone, system clone (requires pro version), or partition clone. Second step: Select the source partition and click the next button. Third step: Also select a destination partition and click the next button. Note: You should backup the data/files on the destination partition if there are any. Otherwise, you will lose everything in it as they’ll be overwritten by the data/files from the source partition. 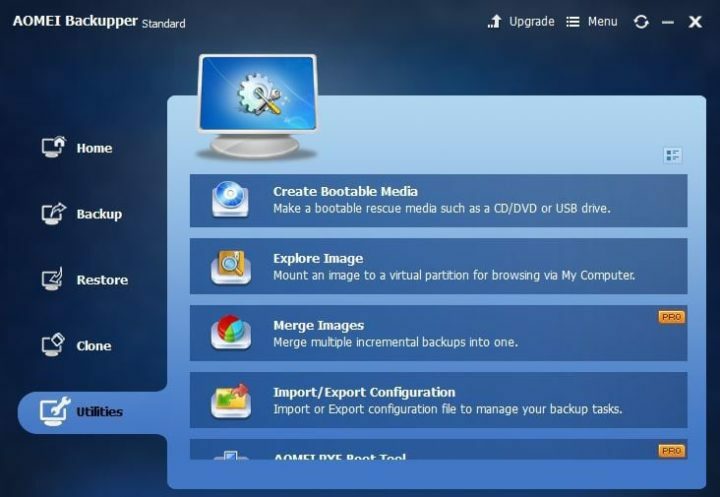 Simply put, AOMEI Backupper Standard is a good, effective utility software for all Windows PC users. It is completely free and comes with a lot of other useful functions. This software is capable of backing up and restoring your document and files in just a few minutes. You don’t really need to have a special skill, opt in for a guide, or tutorials before you can perfectly use this software. It practically requires “zero learning curve”. Honestly, backing up data on a PC has not been this easy for me as it were with this software. On this, I can confidently recommend/suggest this software to anyone in search of a good Windows backup software. 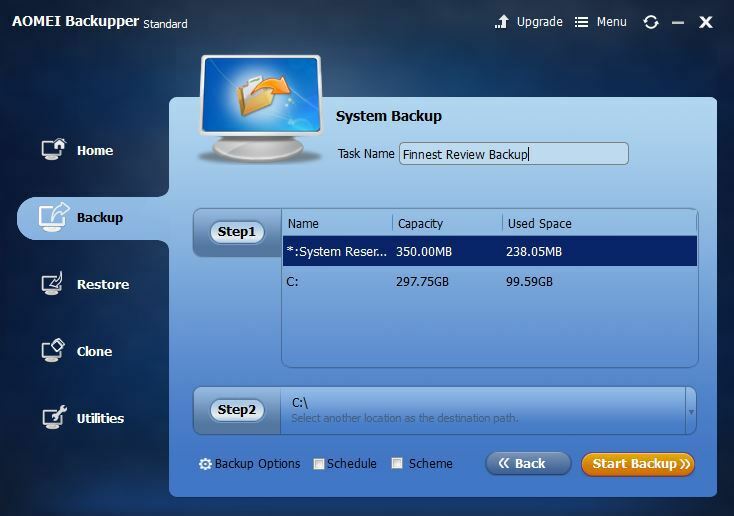 You’ve seen my short review and tutorial on how to do an in-Depth PC Backup with AOMEI Backupper Software. It works perfectly as supposed and executes tasks at a reasonably fast rate. What about your own experiences? We’d love to hear your opinions and views on this software or any of your favorite backupper tool. Feel free to share them in the comment section below.